In this modern era, websites have become a necessity for businesses and organizations. The internet is one of the greatest promotional resources that has ever been available. However, this presents a new challenge to web designers. With an unbelievably over saturated market for websites, it’s easy to get lost in the mix with all of the others. Some design firms will charge outrageous amounts of money to make “over the top” websites, but this is all unnecessary when you can do it yourself for much less. 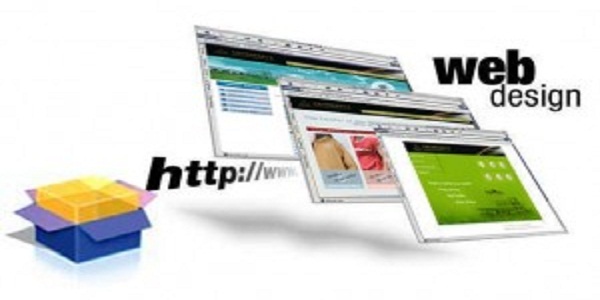 Today there are many website builder sites that are completely free right down to the hosting. Of course, money can be paid to secure a better URL and to expand on the site options, but basic sites are commonly free. Tutorials are readily available that will walk you through each step of the website creation process. It has actually never been easier to launch your own website than it is today. The key to a great website is simplicity. That’s right, simplicity. The internet has an abundance of abrasive and loud promotional websites and banner advertisements, so a simple yet elegant website can be memorable and refreshing to a viewer. Bright colors may be good at initially attracting someone, but that quickly becomes an annoyance and hurts the chances of them staying on your site. It has been scientifically proven that certain shades of colors can cause people to feel uncomfortable and these types are the kind that definitely need to be avoided. A good rule for color is to keep the theme of a website down to about three different colors that work well with each other. Muted colors work better because they don’t take away from the content of the site itself. Secondary and complimentary color palettes will do wonders for design consistency. Researching color schemes from Europe and from other decades will provide some great ideas on how to get started with sophisticated color design. The font choice is a huge factor in creating a good website. Cursive and script fonts are generally discouraged for use by most experienced designers. This is due to legibility and readability issues. Logo design can look very dignified with thin, sans-serif fonts, while a standard serif font is suggested for all of the body copy that will be used throughout the site. With the economy staying relatively low, it’s a good idea to make your own website. And following these effective design theories to ensure that a website will look legitimate. Now is a wonderful time to get involved with internet promotion because of how easy and standard it has become. It’s now something that anyone with time and patience can accomplish.